Julie Hart, co-owner of Bahama Breeze Tanning Salon. MUNDY TWP. 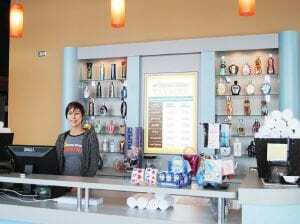 — After the success of its Davison location, Lapeer residents Derek DeRoso and Julie Hart, owners of Bahama Breeze Tanning Salon, recently opened a second location at 2469 W. Hill Rd., across from Meijer. “We decided to open this one to let customers know that we’re not going anywhere,” Hart said. The state-of-the-art tanning facility, which opened Jan. 7, features 21 tanning beds. Along with the Sportarredo beds, Bahama Breeze will soon feature Mystic Spray Tan next month. 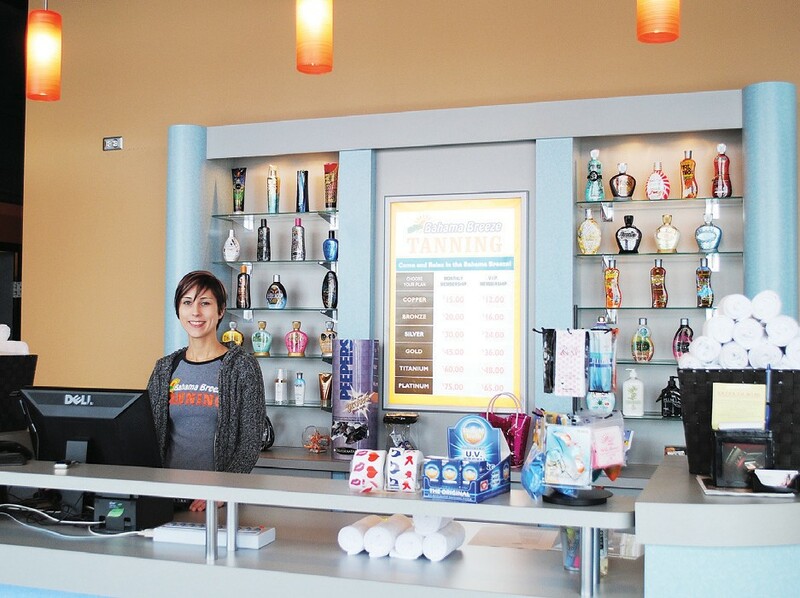 Memberships to Bahama Breeze Tanning Salon are monthly or VIP, and there are five different levels of membership. The copper level is $15 a month or $12 for VIP; the bronze level is $20 a month or $16 for VIP; the silver level is $30 a month or $24 for VIP; the gold level is $45 a month or $36 for VIP; and the titanium level is $60 a month or $48 for VIP. The facility uses Sportarredo beds, which are high pressure beds. There are several differences between the regular monthly membership levels and the VIP levels. With a VIP level, the monthly fee is automatically deducted from a bank account, and the member enjoys several ‘perks’ such as price breaks, free samples, upgrades and coupons. With a regular membership, the monthly fee can be paid by cash, check, VISA or MasterCard. Individuals who purchase a membership at the Mundy Twp. location also will be able to use their membership at the Davison facility, located at 725 S. State St. Individuals not sure if a membership at Bahama Breeze is right for them can try the salon one time for free. “We want people to try us before they make a commitment,” Hart said. Between the two locations, Bahama Breeze has approximately 2,000 members. 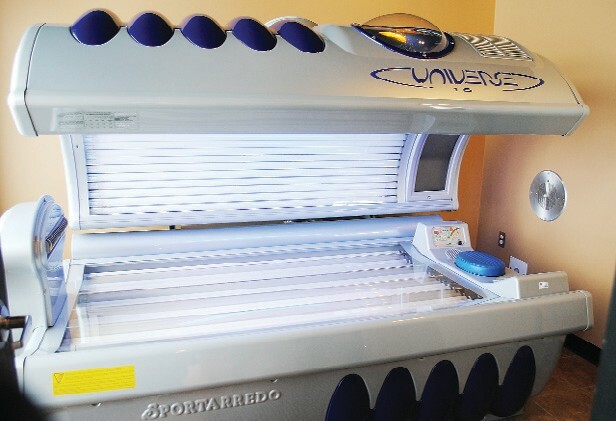 A unique aspect of the tanning facility is how members check in. Unlike many salons that rely on a photo ID, members at Bahama Breeze give their last name and then scan their fingerprint to use the tanning beds. In honor of its recent opening, Bahama Breeze is running several promotions. If a new client brings in another membership card from a salon, Bahama Breeze will waive the fees and give the new member five coupons to upgrade to the next level. Until the end of January, all lotions at the salon are 50 percent off. The salon also sells a variety of tanning accessories, including hydrating eye treatments, facial bronzers, eye protection, nail treatment protectors and UV teeth whitening. Students receive a 10 percent discount at the salon, and for January, current customers get 25 percent off the monthly fee. Bahama Breeze Tanning Salon also offers gift certificates. Hours are 8 a.m.-10 p.m. Monday-Friday and 9 a.m.- 6 p.m. Saturday-Sunday. For more information, call Bahama Breeze at 810-407- 6033 or visit www.bahamabreezetanningsalon.com.